DISH Network’s sports packages offer games from all your favorite leagues and teams with the best coverage available for a satellite provider. Designed for the die-hard sports fan, DISH has what you’re looking for. Get in the game with DISH today! SEC Network. If you want access to over 1,000 events a year including 45 SEC football games, over 100 men's basketball games, 60 women's basketball games, 75 baseball games, and other events from across the SEC's 21 sports, this is the package for you. You can also enjoy other programming that includes studio shows, original content such as SEC Storied, spring football games, signing day and pro days with this one package. And don't forget the hundreds of additional live events from various sports available on the digital platform! Football season means more than just keeping up with your favorite team; it’s a frame of mind and way of life. If you love football and everything about it then you will definitely want to have an NFL package from DISH Network. Keep up with all the action and excitement of your favorite old rivalries and up and coming superstars from around the league with a DISH Network football package. Can’t get enough soccer? Add Fox Soccer Plus to your channel lineup and get access to the most extensive list of live soccer matches anywhere. The perfect enhancement to the Fox Soccer Channel, the Fox Soccer Plus Channel offers the best in international competition with England’s Barclays Premier League, England’s FA Cup, Carling Cup, Coca-Cola Championship, England Men’s National Team, Italy’s Series A and UEFA Champions League. The premium sports network, Fox Soccer Plus, will bring you rugby competitions too and you’ll enjoy the Guinness Premiership, Heineken Cup and exciting match ups from the Magners League. There’s no need to settle for just a few random basketball games each week and hope to see your favorite team play. The NBA League Pass offers the most live games each week with as many as 40 from the leagues’ action. It’s never been easier to stay on top of your favorite teams’ standings and the leagues’ all-stars’ changing stats, because your local viewing area now covers the entire league. The absolute best in college basketball competition with coverage of the finest conference rivalries in the ACC, Atlantic Sun, Big East, MAAC, Big 12, SEC, WAC, Sun Belt, America East, Horizon, Colonial and Southland. Want complete NHL coverage and access to all the excitement throughout the league? NHL Center Ice from DISH Network brings you as many as 40 games each week, select games in HD and the first two rounds of the Stanley Cup playoffs. It’s horse racing throughout the country on as many as 80 channels. Only DISH Network’s Racetrack Television Network brings you the kind of programming perfectly designed for the horse racing enthusiast. Total live cricket coverage from around the world. Every day, all day access to cricket competitions from New Zealand, England, Cricket Boards of Australia, South Africa and all the live match ups from the ICC Champions League. The ultimate sports viewing package for the true sports aficionado. Subscribers to the Multi-Sport package receive NFL RedZone, NHL Network, NBA TV, Big Ten Network as well as 25 local sports networks like FOX Sports Midwest, Altitude Sports and Entertainment and ESPN Classic among several other regional selections. *With qualifying packages. Restrictions apply. 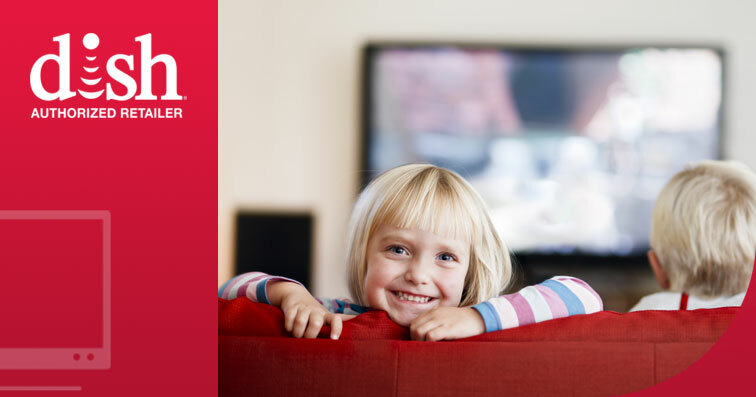 Require activation of new qualifying DISH service with 24-month commitment and credit qualification. Offers valid through 1/6/17. All prices, fees, charges, packages, programming, features, functionality and offers subject to change without notice. Advertised price requires credit qualification and eAutoPay. Upfront activation and/or receiver upgrade fees may apply based on credit qualification. Qualification: Advertised price requires credit qualification and eAutoPay. Upfront activation and/or receiver upgrade fees may apply based on credit qualification. Offer ends 1/16/17. Included in 2-year price guarantee at $39.99 advertised price: Flex Pack plus one add-on Pack, HD service fees, and equipment for 1 TV. Included in 2-year price guarantee at $54.99 advertised price: America's Top 120 Plus programming package, Local channels and Regional Sports Networks (where available), HD service fees, and equipment for 1 TV. Premium Channels: Subject to credit qualification. After 3 mos., you will be billed $60/mo. for HBO, Cinemax, Showtime, Starz and DISH Movie Pack unless you call to cancel.